**BOCA ROYALE MAINTENANCE FREE VILLA**PRIVATE SETTING WITH LAKE VIEWS**OPEN FLOOR PLAN**EXTENDED LANAI**STEPS TO HEATED POOL & SPA** Nearly new villa in Boca Royale Golf & Tennis Club that has been sparingly used & lovingly cared for and boasts 2 bedrooms, 2 baths, plus a den, and an attached 2 car garage. Some of the many upgrades in this home include crown molding, granite countertops in the kitchen, 42 upper cabinets, diagonal tile, stainless steel appliances, custom ceiling fans & more. Kitchen opens to the Great Room which opens to the private extended lanai and the inviting lake views beyond. The master bath has a walk in shower. Guest bath has a tub/shower combination. Home features barrel tile roof and brick paver drive & walkway. This end unit enjoys great morning sunlight and spectacular views of the sunset beyond the lake. Just a short walk across the street to enjoy the heated community pool and spa. HOA fees include, ground maintenance, irrigation, roof, exterior painting, gated entries, common area maintenance, private roads, and a social membership in the club. 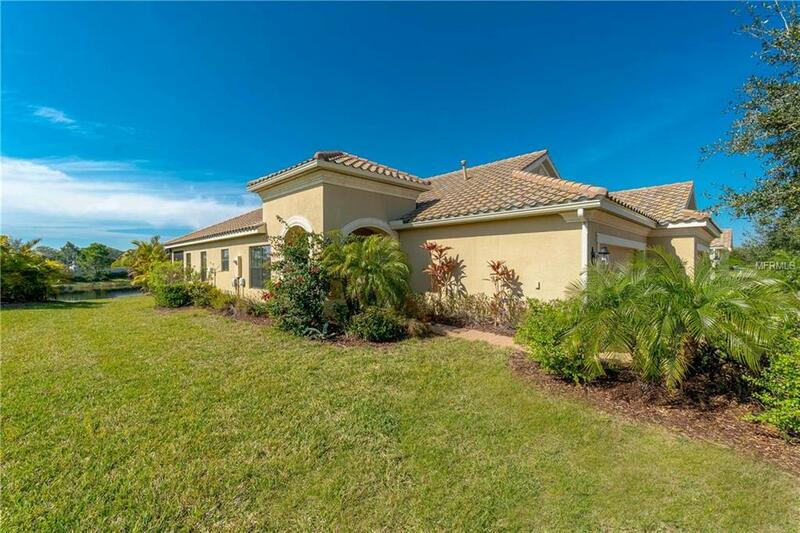 Boca Royale is a gated community with 24 hour monitored entries, a championship 18 hole golf course, 6 championship clay tennis courts, 4 new Pickleball courts, and a fitness center. The clubhouse features a restaurant with 2 dining rooms, and several game, or meeting rooms. Minutes from the area beaches, and all area services, Boca Royale is a perfect place to call HOME!